This product is protected against counterfeiting by an hologram on the capsule and by the Certilogo system, which allows you to check its authenticity and to obtain valuable information. 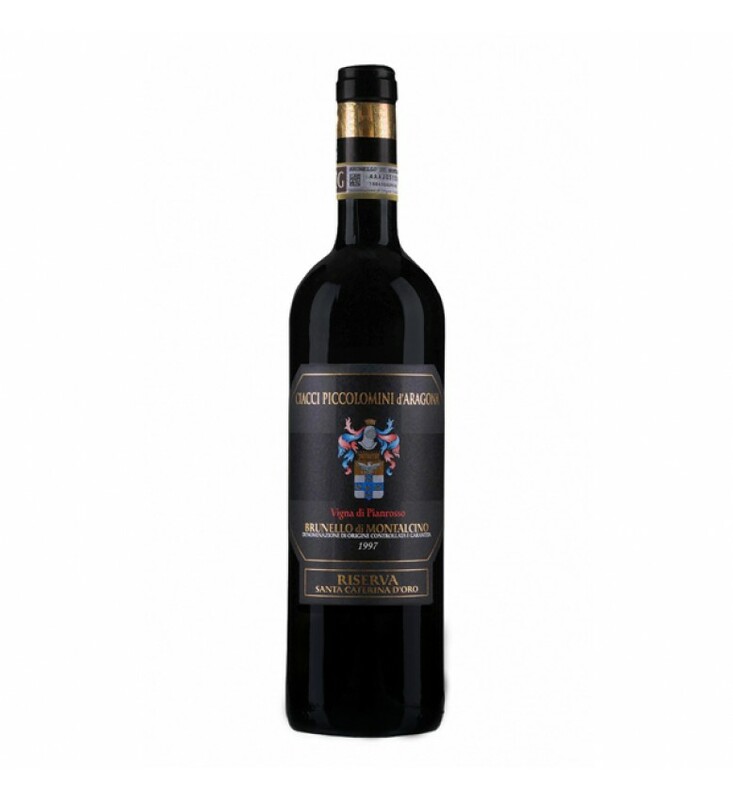 The Brunello Riserva is the result of a careful selection in both the Pianrosso vineyards and winecellar. Vineyards: 11,69 hectars (29,22 acres) of the single vineyard “Pianrosso” situated at an altitude between 240 and 360 a.s.l. with a soil of medium grain with good levels of marl, dating from the Eocene period. Fermentation and refinement: in steinless steel and glass concrete vats with temperature controlled trough cooling plates. Aging: roughly four years in 20-30 hl Slavonian oak barrels, followed by a 12 month period of bottle ageing. Only roughly 9000 bottles are produced in the best vintages. Organoleptic characteristics: the bouquet is intense and complex: fruit-forward, spicy and ethereal, with hints of red berries and various spices. Warm, harmonic with pronounced and soft tannins. A full-bodied wine with a very long aftertaste. A Brunello that can be refined in the bottle for years and with a very long life. Service suggestions: open an hour before pouring and serve at 18°C (64,4° F) in large crystal wine glasses. Bottles should be kept in a horizontal position, far from light sources and protected from both extremes and changes in temperature. Food pairings: excellent with jugged red meat, roasted meat and game. Very good with mature cheeses or enjoyable by itself as a meditation wine.